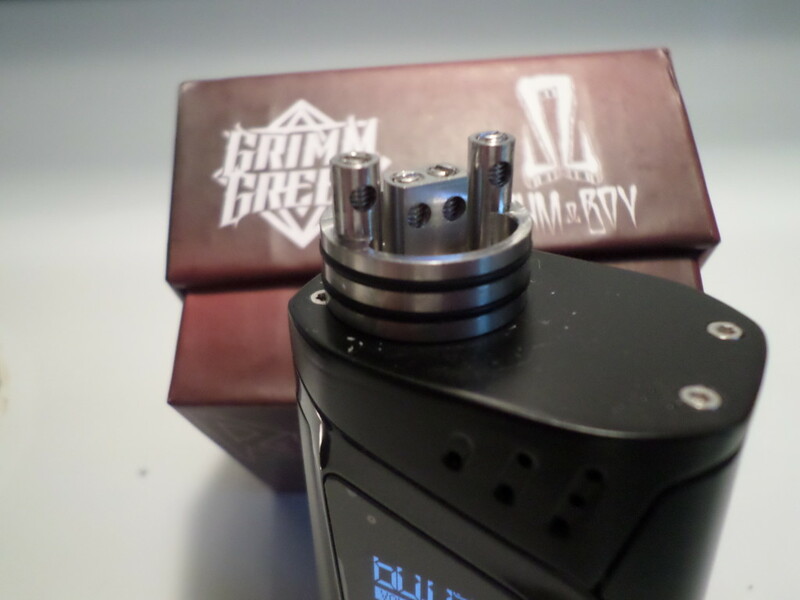 The Recoil Performance RDA by Grimm Green and OhmBoyOC REVIEWED – is this RDA tank up to tack? Or is it just a well-promoted, overhyped vape tank? 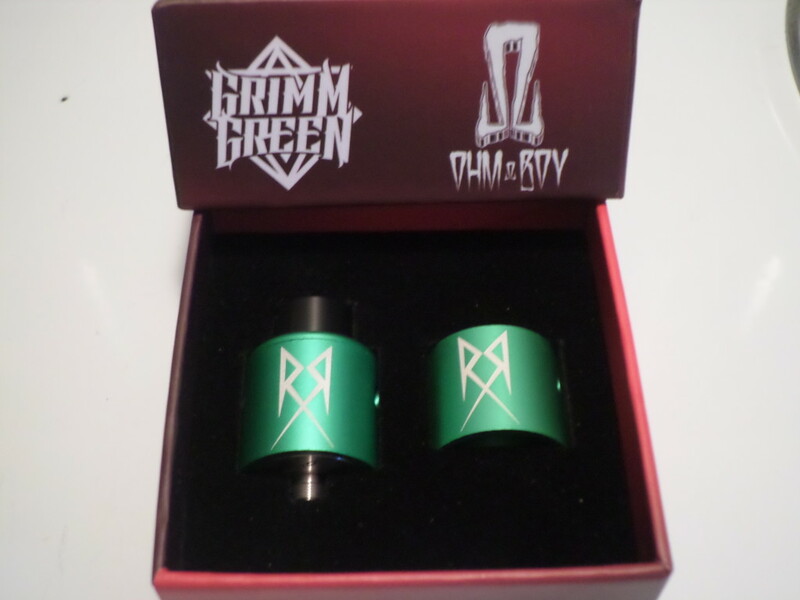 Grimm Green and OhmBoyOC have come together to create an RDA that can be used by everybody, regardless of experience, and that RDA is called the Recoil Performance RDA – and it really is one hell of an addition to the already highly competitive RDA space. These two have been in the industry for as long as I can remember and both are highly respected players, so even before testing the Recoil Performance RDA I had high expectations. I have seen some video where OhmBoyOC made some really nice coils (he’s like a pro) on YouTube, while Grimm Green has a ton of videos that span from basic, beginner-level stuff right down to expert user and everything else in between. I’ve plenty of these vides in the past to hone my coil building skills. When it comes to this kind of stuff Grimm Green and OhmBoyOC are two names you can take to the bank! 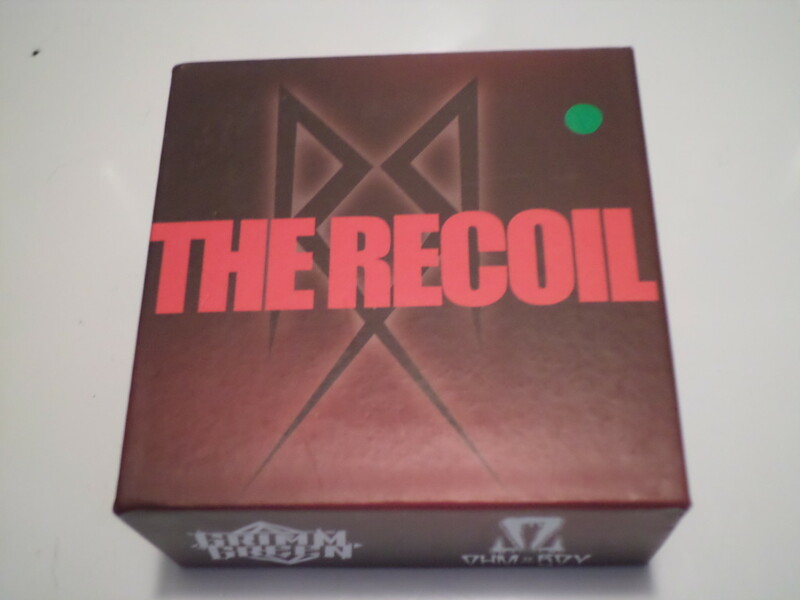 So, imagine my delight when the Recoil Performance RDA showed up at my door. Read on to find out about this amazing RDA. The box is red with black bled into it. 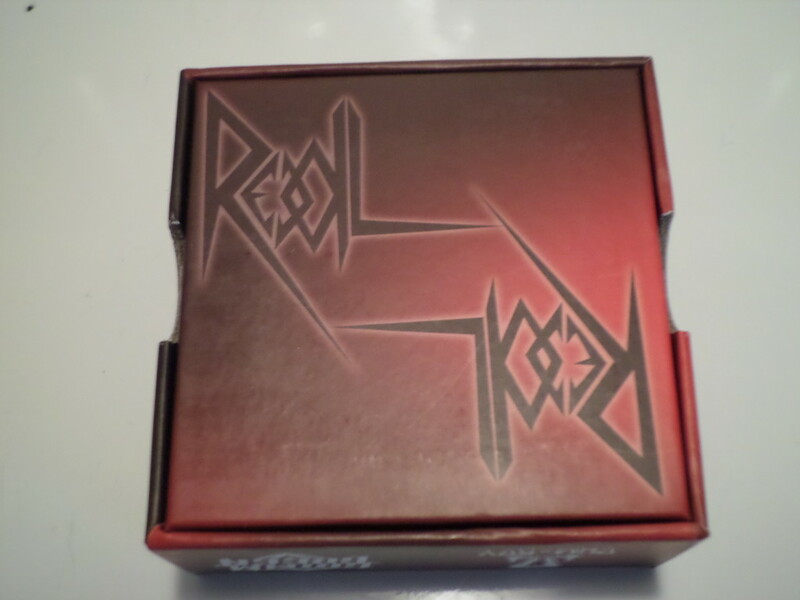 You have the words The Recoil boldly on the front of the box with The Recoil symbol behind it giving you that heavy metal look. On the topside and bottom-side of the box, we see Grimm Green symbol and OhmBoyOC symbol. On the back side in the upper left and lower right corners we see Recoil in a very heavy metal-styled text, this packaging screams heavy metal and that’s what Grimm and OhmBoy were going for….very awesome! The RDA itself is displayed nicely and comes with two different housing units; one with bigger predrilled angular holes and the other one has the same angular drilling holes but are smaller. So, a housing geared for cloud performance and one for more flavour, basically. Underneath the RDA you have a package of extra O-rings. On one side of The Recoil, we see the Recoils awesome Heavy Metal symbol expertly placed and done. The build deck of The Recoil has a nice deep juice well, like the Troll v2 RDA. The style deck the Recoil has is a velocity and a big plus here is the grub screws are flathead so these grub screws are built to last! I looked The Recoil over with a fine tooth comb, inspecting everything from top to bottom to fitness and ease of teardown. Everything fits snug but comes apart with ease, much better than the very snugness of the Troll v2. You have predrilled holes one both housing units and they are at an angle with 2 holes on each side. One housing unit has bigger holes than the other which is for catering to both the cloud and flavour chasers respectively. After putting in a dual 24g twisted 7wrap over 2.5mm screwdriver and making all the fine tune adjustments, I then inserted my organic Japanese cotton, trimmed and juiced up. I put the housing with the smaller holes on first and The Recoil showed me what she had right from the start – the flavour was pure and amazing and cloud production was right on par. After using the smaller drilled holes for a few days, I redid my build and put on the housing with the bigger holes. I wasn’t expecting much but I got a surprise as the flavour rushed in and the huge fluffy clouds rolled out! The Recoil can handle 175W with ease and, while it does get warm at higher temperatures, it never gets so much that it becomes uncomfortable. Cleaning is a breeze and the grub screws are going strong after a good 12 times of changing the coils, which is a very good thing. I love the Troll v2 RDA, I really do. The Recoil RDA gives me better overall performance, though, and for this reason that is why the Recoil Performance RDA is now my go-to RDA.